Iran’s Foreign Minister has criticized close aids of US President Donald Trump after claims that Washington was forced to close its consulate in Basra over threats from Tehran and its allies. US, Friday, closed the mission in the protest-hit province because of “indirect fire” by Iranian militias. Large part of the staff will leave Basra while the embassy in Baghdad will handle consulate duties. Basra since early July has been rocked by deadly demonstrations against the government over poor public services and outcry against corruption of government officials. U.S. Secretary of State, Mike Pompeo held Iran responsible for threats on the consulate and its staff. 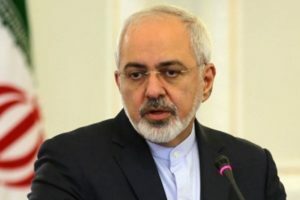 “I have advised the government of Iran that the United States will hold Iran directly responsible for any harm to Americans or to our diplomatic facilities in Iraq or elsewhere and whether perpetrated by Iranian forces directly or by associated proxy militias,” he said in a statement. “I have made clear that Iran should understand that the United States will respond promptly and appropriately to any such attacks,” he added. His Iranian counterpart, Mohammad Javad Zarif on Sunday denied any connection with the alleged threats asking Pompeo and Trump’s top Security advisor, John Bolton, to stop make “irrelevant threats”. “Mr. Pompeo and Mr. Bolton, instead of making these irrelevant threats that would produce no positive results, need to look at their own policies,” Zarif added. Earlier, the New York Times reported that the State Department has been considering for more than a year shutting down the Basra consulate to save money, citing three former officials. The consulate costs at least $200 million to operate each year, with estimates reaching $350 million. Iraqi authorities also said they are not aware of any threats by Iran and its friends in the region against the US diplomatic facility and staff. “We are not aware of any intention by Iran or its friends in Iraq to attack American diplomats or the consulate,” an Iraqi senior security official who spoke in anonymity was quoted as saying by media. “This is another unfortunate move that is making Iraq the playground for America’s quarrel with Iran,” he added. Iran’s own consulate in the province had been burned down in the protests with many believing that Tehran has been holding a sway over Iraqi politicians. Written by: KanelkaTagba on October 1, 2018. Posted by KanelkaTagba on Oct 1 2018. Filed under Headlines, World News. You can follow any responses to this entry through the RSS 2.0. Both comments and pings are currently closed.